It’s been a very busy few months for us, and certainly an exciting few months in the Bitcoin ecosystem! We’d like to update you on what’s been happening here at GreenAddress and what’s in store in the future. This is a long post, but we suggest you read it very carefully. As always, if you have any questions feel free to contact us at info@greenaddress.it. We are happy to announce that we have grown the team with two new developers joining us to work on the platform. We should be able to work through our huge list of enhancements and updates much faster with the extra brain power on board. Welcome to the team! We look forward to implementing more features even faster going forward. We recently moved to a new support system which makes it easier for us to track and quickly respond to support requests via our support email info@greenaddress.it. Although the number of support queries we get has been steadily increasing, our response time has been reduced, and we hope to improve it even further going forward. Our FAQ at https://greenaddress.it/faq has also seen some updates to respond to the most common questions from our users. We’d like to remind users to ensure they have at least two two-factor authentication methods enabled! If you lose access to one method you will then be able to use the other(s). If you lose two-factor access we can’t help you restore it so please be sure to back up your Google authenticator seeds and verify that the methods set up are still accessible. We’d also like to remind users to make a backup of their mnemonics, if you lose them we cannot help you get them back. We have supported segwit in our testnet environment for a long time now, and with segwit locked in on the main chain, we have deployed the changes needed to enable this to the main service. When you next log in to your wallet you will be upgraded to segwit and offered the chance to opt-out. If you don’t see the upgrade prompt, your client is too old and you will need to update it. Once segwit is enabled on your account and you have generated at least one receive address, it will be locked in and you will no longer be able to disable it. Segwit is fully backwards compatible with the rest of the ecosystem, you should notice no differences with segwit enabled except cheaper fees. Our testing shows that segwit fees are around half the cost of the equivalent non-segwit transaction. Lower fees kick in once you start spending segwit inputs, so for most users it will take a few transactions before you see the full effects. As the rest of the ecosystem updates we expect block pressure to reduce which may also lower fees further. We strongly recommend that all users upgrade their wallet apps to the latest available versions to pick up recent updates and fixes and to ensure your transaction fees are as low as possible. Also we suggest that users get into the habit of checking their fees before sending transactions. When fees are high you can often save money by delaying transactions to quieter times like late at night and the weekend. Our previous recovery tool Gentle was getting long in the tooth and did not support segwit along with other features that we wanted to add. We are happy to announce our replacement recovery tool “garecovery” has completed internal testing and is now available at https://github.com/greenaddress/garecovery. garecovery has support for segwit as well as now supporting 2of3 wallets, and can be run on testnet for users who wish to validate or experiment with the recovery process. We plan to improve garecovery even further in the future, for example to improve the privacy impact of recovering inputs sent to the same address. We welcome your input on improvements and features you would like to see in the future. We have had requests from some users to enable splitting of Bitcoin Cash from the wallet. Our statement (https://blog.greenaddress.it/2017/07/24/uasf-segwit-softfork-enforcement/) on the fork was posted before the split in order to allow users to move their funds to split themselves, but unfortunately not all users did so at that time. 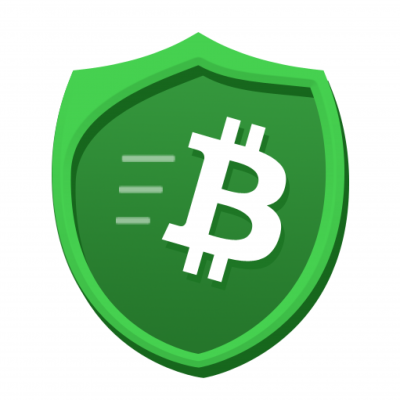 At GreenAddress we believe in putting the user in control of their coins, and we recognize that there is demand to withdraw bitcoin cash from the service. We investigated the options open to us and have settled upon providing API support for signing the GreenAddress side of bitcoin cash transactions for users to allow them to split manually. Developers can see the API documentation for the call vault.sign_alt_tx at https://api.greenaddress.it/vault.html#sign_alt_tx for more information. Please note that this call respects the wallets two-factor settings and will only sign with the bcash fork id replay protection mechanism, and only with keys under the user’s GreenAddress path. We do not provide tools or support for the splitting process beyond providing the API call. In particular we will not be providing a split tool or making any changes to our wallets to support bitcoin cash at all. As there is already at least one community provided tool to split 2of3 accounts, it is now possible a tool for 2of2 will be developed too. We urge all users to be careful about third party services to split coins and remind you that maintaining the security of your mnemonics and two factor is your sole responsibility. Users should not expect that future splits or altcoin air-drops will be supported, in line with our previous statements on contentious hard forks here: https://blog.greenaddress.it/2017/07/24/uasf-segwit-softfork-enforcement/. We have a new repository of simple python examples using the GreenAddress API to talk to the service at https://github.com/greenaddress/gaexamples. We will be updating the API documentation to refer to these and adding more examples as time permits. The seizure of BTC-E has made them unavailable as a pricing source. We have updated all wallets that were using it to use BTCAVG instead. If you had a spending limit setup in fiat and were using BTC-E, we have reset your limit to zero as part of this change. If you would like to use another source, you can change this (and update your spending limits) in the settings of all of our wallets. For our New Zealand users, we are also happy to now support Kiwi-Coin (https://kiwi-coin.com/) as an NZD pricing source in addition to Local Bitcoin. GreenBits has recently been updated with a variety of changes including UI updates, transaction limits, improved RBF and more validation to ensure users have backed up their mnemonics and are using the correct PIN. We hope these changes will result in more users taking all of the required steps to maintain access to their coins in the event of device loss. Our Cordova and CRX wallets have also been updated with bug fixes, improved fees and better segwit support. Finally, we have a native iOS wallet in development which will provide a better native experience for iPhone users. We will announce more details as development progresses. For system integrators, we are developing a higher level API abstraction which will handle many of the low level details such as transaction construction on behalf of users. This will make it much easier to integrate with us for users providing services backed by GreenAddress and for developers to automate wallet workflows. We will shortly begin development work on using CSV to replace nlocktime emails. This change will allow recovery of 2of2 funds without needing to receive or store nlocktime zip files and make recovery for lost two factor much easier. Thanks for using GreenAddress, we appreciate your support and hope you continue to enjoy the service.